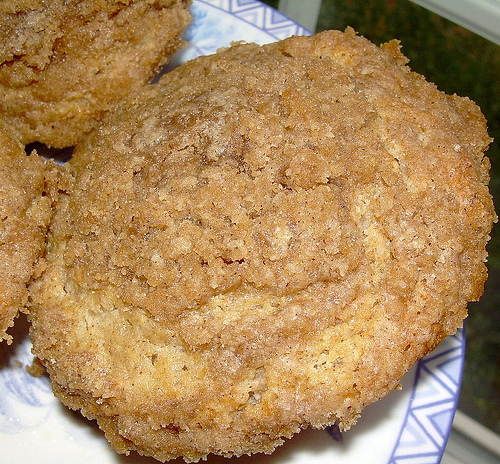 TWD – Allspice Crumb Muffins, or How to Gain a Pound in One Day or Less! 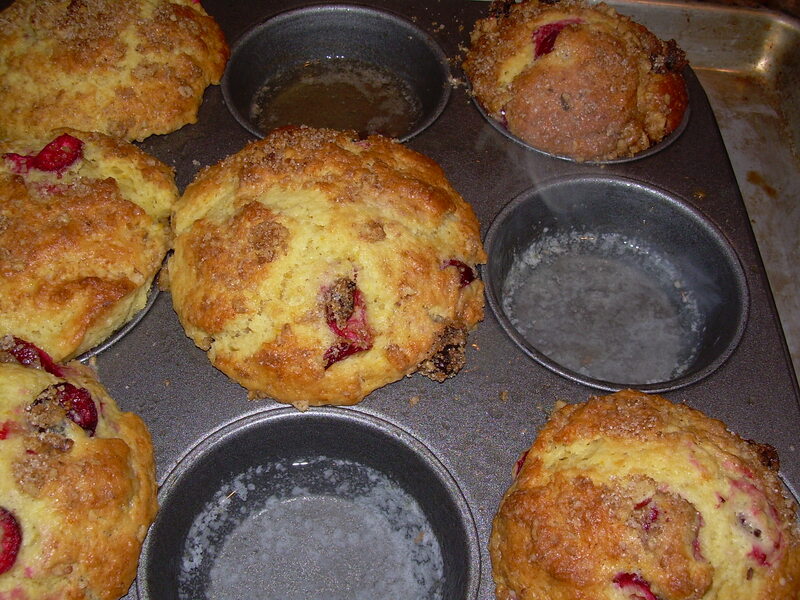 This week, Kayte of Grandma’s Kitchen Table chose Allspice Crumb Muffins, pages 16-17 of Baking: From My Home to Yours. 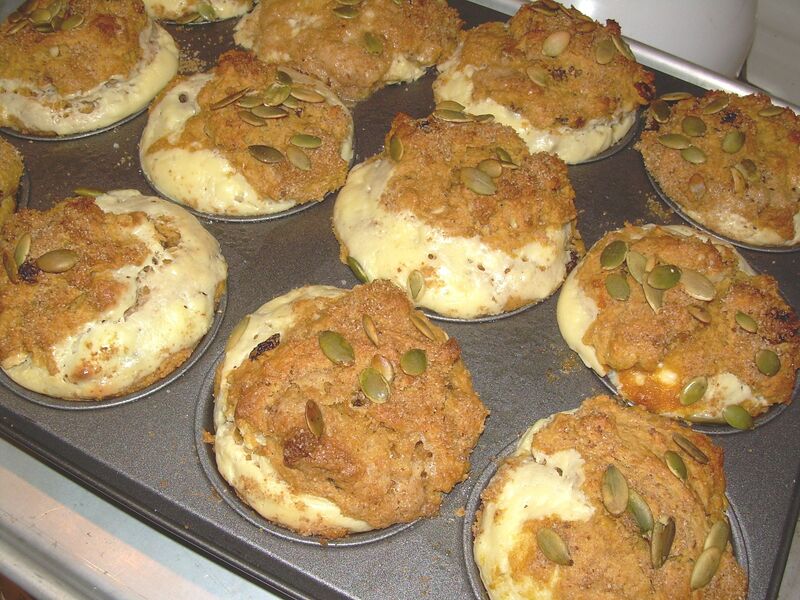 I got 11 muffins out of the recipe. And used 13 Tablespoons of butter. That’s over a tablespoon of butter per muffin. When my husband bit into one, his first comment was, “There’s a lot of butter in these, isn’t there?” I refer to it as a comment, because his tone of voice indicated it was a declaratory statement, not really a question. 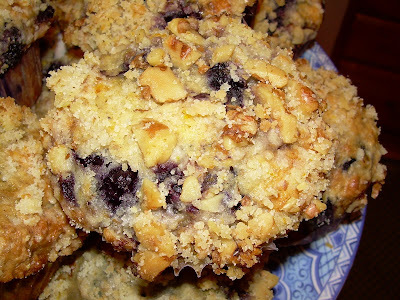 One tip: don’t skip the lemon zest; it adds a lot to these muffins. Butter, brown sugar, and allspice. Lovely allspice. What more is there to say, other than, “Yum,” and be sure to check out the blogroll? 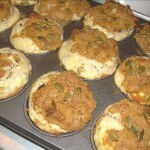 This week, Rebecca of Ezra Poundcake chose Savory Corn and Pepper Muffins on page 6 of Baking: From My Home to Yours. Madam Chow had a brain fart and made Dorie’s Corniest Corn Muffins by accident. Of course, I didn’t realize this until I was actually posting this. 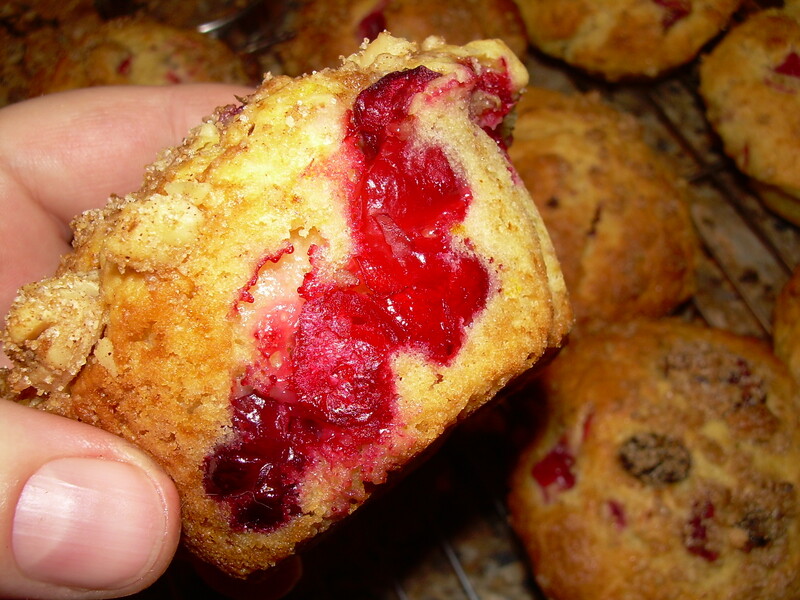 Hanging my head in embarrassment, I will proceed with my review of the wrong muffins. These were quick and easy to put together. 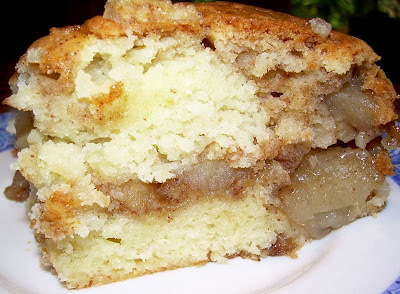 If you like your cornbread sweet (I like it just about any way you want to serve it), this is the recipe for you: sweet, but not too sweet. 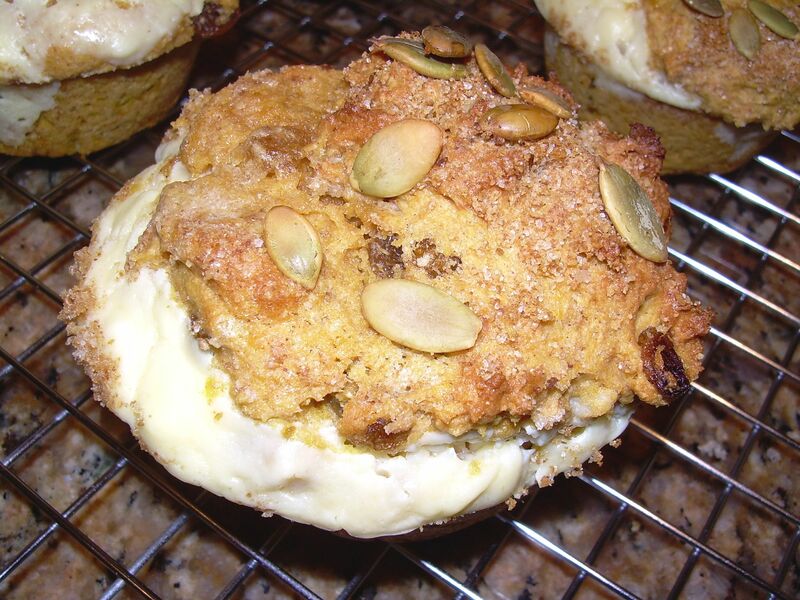 Cut back on the sugar if you want a more savory muffin. I left out the corn kernels, and went a bit too heavy on the nutmeg. The nutmeg flavor really comes through, so next time I’m going to go a little lighter on my pinch of nutmeg. This was a great change of place from all the sweets of the past couple of months. 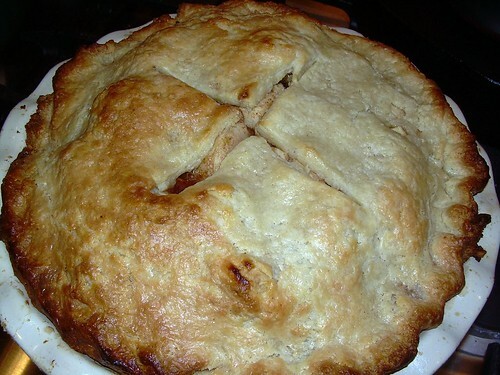 Check out the TWD blogroll to see what others have done WITH THE CORRECT RECIPE. 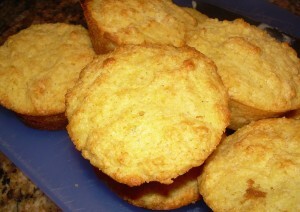 If you want the recipe for Corniest Corn Muffins, see Dorie Greenspan’s post over at Serious Eats. This week, we were allowed to go back and do a “rewind” recipe (one that we may have missed), instead of making this week’s choice, creme brulee. I jumped at the chance because (1) I couldn’t find any butane for my torch, and (2) I don’t like the “brulee” on creme brulee. 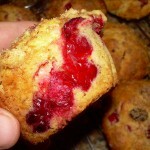 I chose Orange Berry Muffins (page 3 of Dorie’s book), and they were fantastic. I swapped cranberries for the blueberries, sprinkled a bit of cinnamon sugar on top of each one before I baked them, and I whipped up the whole thing in my food processor, so not too many pans to clean! I usually use an ice cream scoop to fill muffin cups, but if you decide to do that, be aware that you will end up with nine muffins instead of twelve. If you have empty muffin cups, fill them with some water to keep the pan from warping, like you see in the photo to the left. 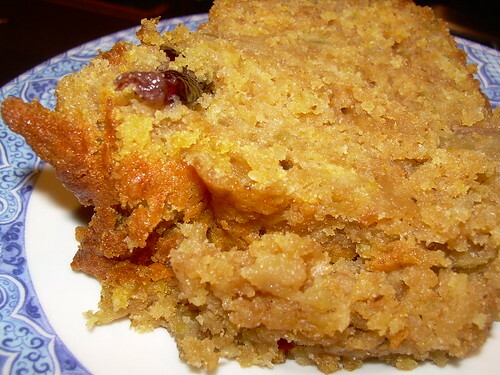 These really are wonderful – a soft, cakey, moist crumb, perfumed with orange, but not so much that it overwhelms. I love the sourness of the cranberries combined with the orange. 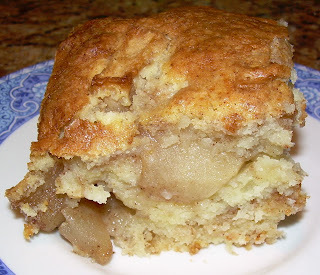 Definitely on the repeat list, and one of my favorite Dorie recipes so far! 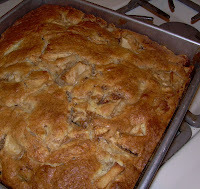 You can find the recipe after the jump, and be sure to check the TWD blogroll to see what others did this week. continue reading "TWD Rewind- Orange Berry Muffins"
These are for you if: (1) you love chocolate, (2) would like to find an excuse to eat it for breakfast, and (3) don’t like baked goods that are too sweet. I definitely like chocolate, and have a fondness for muffins that don’t make my teeth ache from too much sugar, so I thought I’d give these a try. I uploaded the photos before my entire computer crashed, so I have something to blog about! The pros: a tender crumb, moist, crunchy top, and they freeze well. The cons: I will definitely switch to semisweet chocolate next time (they need it), and double wrap these muffins if you freeze them, or they pick up every flavor in the freezer. I made a couple of adaptations: I added 1.5 teaspoons of espresso coffee crystals to augment the chocolate flavor, and I sprinkled turbinado sugar on top of the muffins before baking. Center a rack in the oven and preheat oven to 375 degrees F. Butter or spray a 12- slot muffin pan, or line with muffin liners. 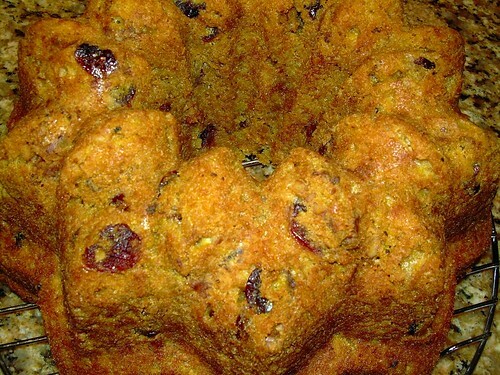 Place pan on a baking sheet. Melt butter and half the chopped chocolate in a bowl over simmering water (or in the microwave). Add the coffee crystals and stir to dissolve. Take off heat and set aside. In a large bowl, mix together the flour, sugar, cocoa, baking powder, baking soda, and salt. In another bowl, whisk the buttermilk, egg, and vanilla together until well combined. Pour the buttermilk mixture and the chocolate mixture into the dry ingredients. 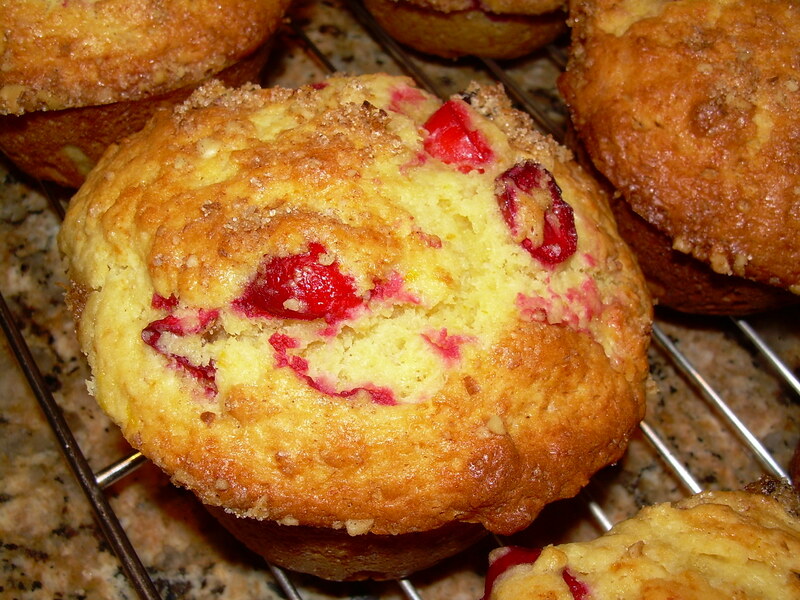 Mix gently but quickly to blend, but do not over mix as this will toughen the muffins. A few lumps are OK! Stir in the remaining chopped chocolate. 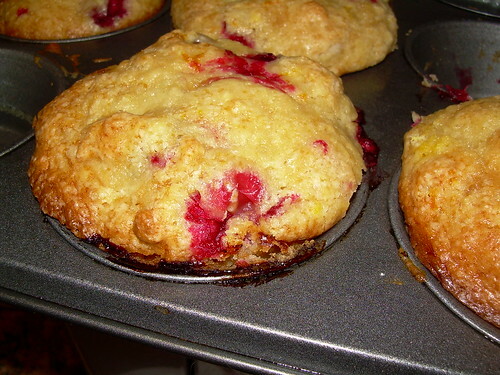 Divide batter among the muffin tins. Sprinkle with sugar. 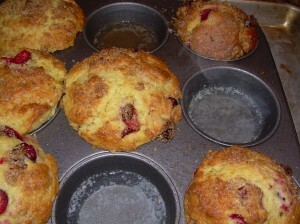 Bake for 20 minutes, or until a thin skewer inserted into the middle of a muffin comes out clean. Cool pan on a rack for 5 minutes before removing muffins from pan.